No, the announcement of Lucio’s cereal wasn’t a joke from the Overwatch team at BlizzCon 2018 today. 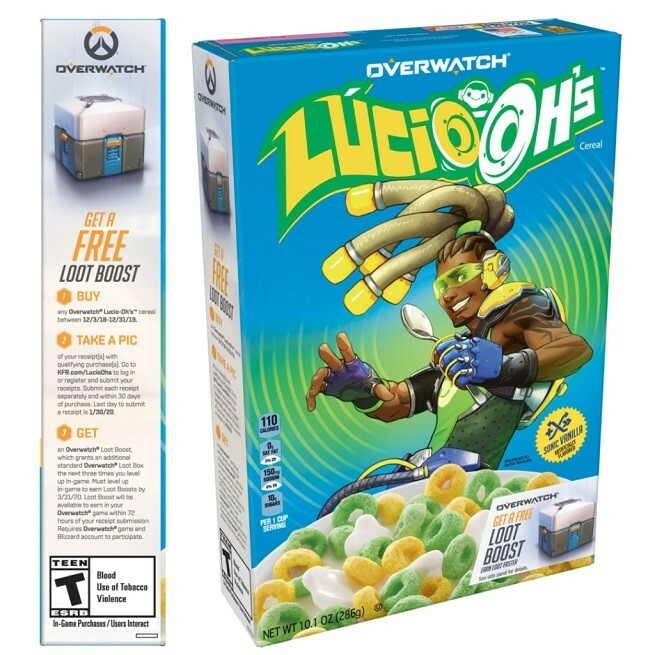 Overwatch cereal will be hitting grocery shelves in the US this winter, and it’s named Luci-oh’s after the in-game character. Considering news of the cereal leaked back in October, this shouldn’t surprise you. Plus there’s a Lucio-Oh’s spray in the game. It comes with codes for in-game loot, so it’ll be worth the sugar rush. The box is filled with green and yellow cereal loops similar to Apple Jack’s and apparently has a vanilla taste. Look out for Kellogg’s cereal Luci-oh’s at your local store in December.